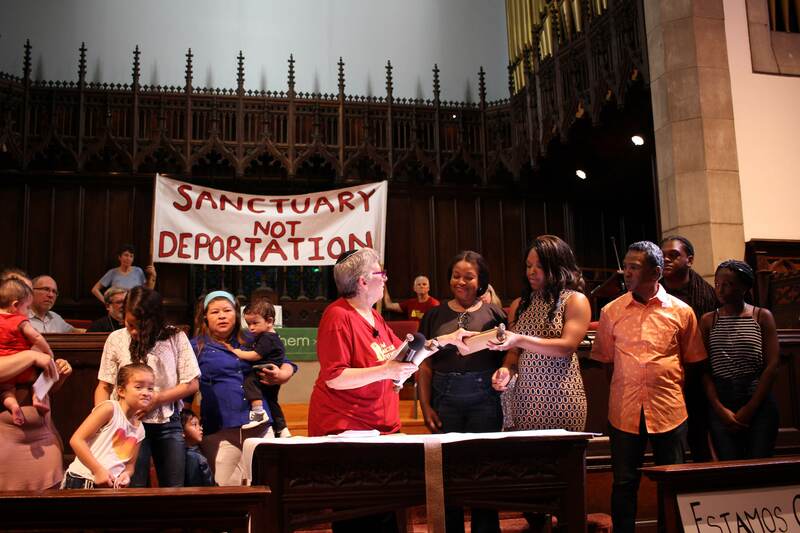 After a long road spanning multiple years and two mayors, New Sanctuary Movement and other PFUN organizations successfully ended collaboration between all Philadelphia city officials and Immigration and Customs Enforcement (ICE), the deportation wing of the federal government. The landmark policy was enacted on April 16, 2014 and again on January 6, 2016 after Mayor Nutter briefly rescinded it. Thanks to our hard-won victory, immigrants in Philadelphia will have renewed trust in the police, making our communities safer and keeping immigrant families together. Collaboration between local jails and police and ICE resulted in civil and human rights violations, fear of the police, fear of reporting crimes, forcing domestic violence survivors to choose between risking deportation and sustaining abuse, racial profiling, and wasting precious local resources. By ending collaboration with ICE, Philadelphia is a safer and more welcoming city to our immigrant community members.